Is it time to think about replacing your roof? Whether your old roof is badly damaged or it’s simply time for a change, an important part of your roof replacement process is to decide what material you’re going to use. There are a lot of different roofing materials out there. With so much to choose from, how can you know what type is right for your home? The first step to any roofing project should be to contact a qualified roofing contractor. They can help you find the roofing material that is right for you and give you an estimate. However, if you’re curious about the pros and cons of different roofing materials, this guide will help you. Shingles roofs dominate the residential roofing market in North America, currently installed on about 85% of homes in the US. Shingles are most commonly made out of asphalt but there are other options available. 3 Tab shingles were very common throughout the 70s and 80s until architectural shingles came about. 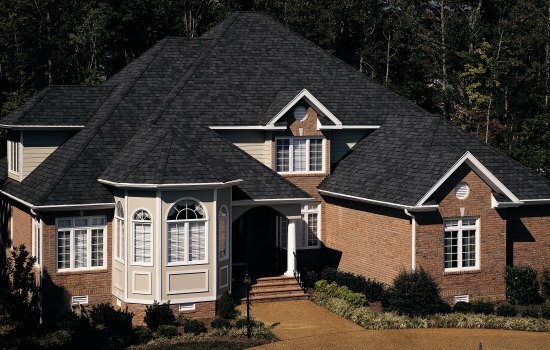 Architectural shingles are now the go-to for asphalt shingle roofs as they are thicker and have a distinctive textured appearance. Pros: Shingle roofs are the most affordable roofing option available and are relatively easy to install. The product requires very little maintenance throughout its life, and it is stylish. It comes in many different colors and patterns, which makes it appealing to a wide range of people. Shingle roofs also have a good rating for fire resistance. Cons: At 25-45 years, shingle roofs have the shortest life expectancy of steep slope roofing products. If you’re a New England homeowner, shingles can only be installed during certain seasons. Freezing temperatures and lack of sun can hinder the installation process. Shingles that are installed during freezing temperatures can be easily damaged and may not seal properly. They are also more susceptible to lifting from wind and can crack easily during varying temperatures. This type of roof, easily identifiable by the large interlocking metal panels, has become more common in recent years. Metal roofs have a live expectancy of 40-70 years. 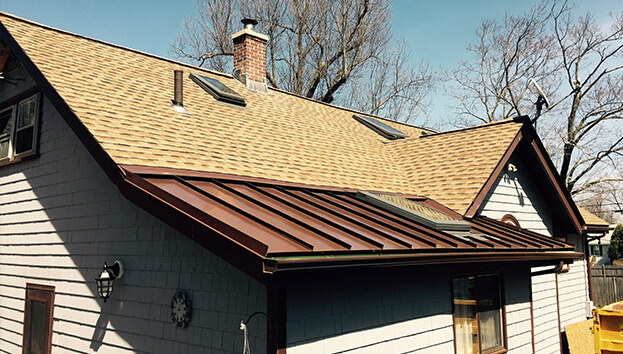 Metal is a great choice if you are looking for a long-term solution for your home’s roof. Pros: These roofs have an excellent life expectancy. 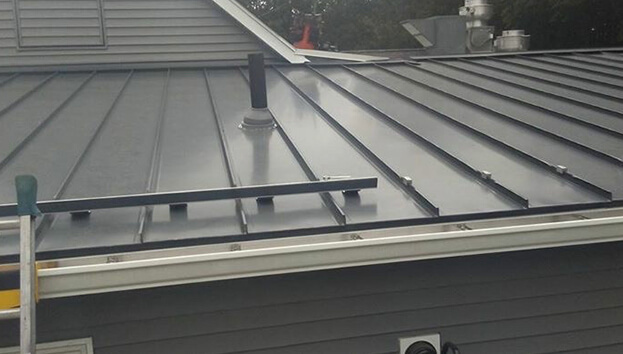 Because metal is reflective, these roofs absorb less heat. This makes them much more efficient than shingle roofs, and many of them qualify for Energy Star ratings. Panels are also made up of 25-95% recycled materials, and can be recycled at the end of their lifespan, making them one of the most environmentally friendly roofing materials! Metal roofs come in your choice of style and color, which means you get the style that you’re looking for. They also have a high fire resistance rating: they won’t ignite in the case of a fire or lightning strike. Metal roofs hold up well in varying conditions, including areas with heavy snow totals as well as in areas that salt water is present in the air. Cons: The metal material is more expensive than other roofing materials. Additionally, installation is more complicated than other roofing materials – it requires specialized tools and knowledge. The installation process takes longer than others, and the labor is more expensive. Slate shingles are made of natural stone and are intended for use on sloped roofs. This strong roofing material has been in use for hundreds of years. In fact, the life expectancy of this material is 75-200+ years! Pros: The most obvious pro of slate roofing is the life expectancy, which is the longest of any roofing material. There have been reports of slate roofs that are 200-300 years old. It lasts so long because it’s made of stone; as long as the stone is good quality, the roof is of good quality. From an aesthetic standpoint, slate roofs are very appealing. Cons: Slate is formed naturally, which means that there can be variations in the rock which affect its quality. Some variations may crack or age more easily. If there is iron content in the rock it may shale, splitting into fragile pieces. The material is heavy; not all homes can take the weight of a slate roof. The installation process is more complicated than it is for other materials and it requires specialized knowledge and equipment. 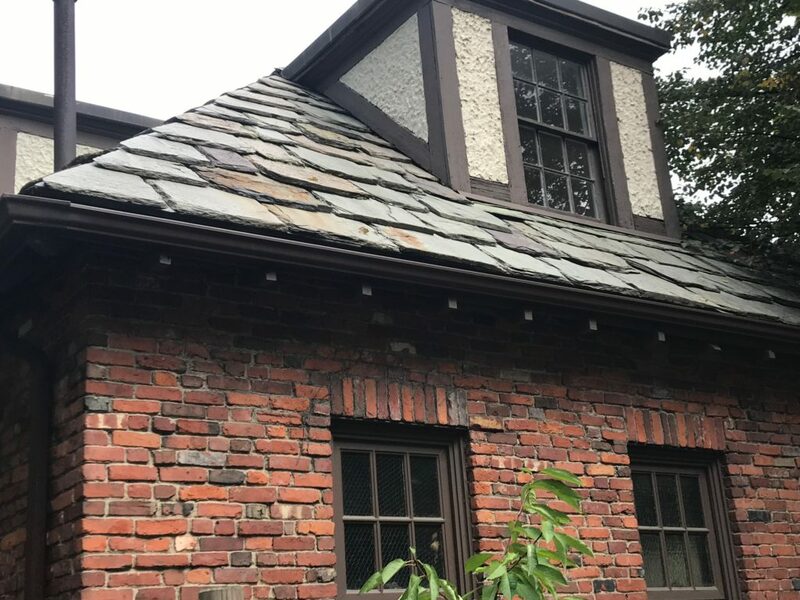 For that reason, there are a limited number of contractors that are able to install slate roofs, and the process can be expensive. Slate roofs do require yearly maintenance as well. These roofs are made up of overlapping wooden tiles. If the wood is not treated, these roofs have a life expectancy of 15-20 years. If treated, they can last 30-40 years. Pros: Cedar roofs are exceptionally stylish. They have a high resistance to wind and extreme temperatures, and they are eco-friendly. 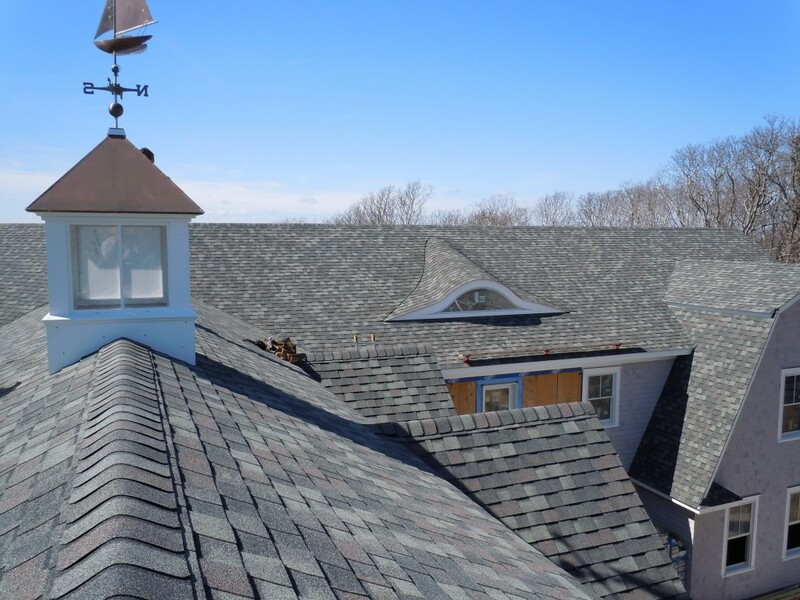 They are energy efficient and provide a natural insulation up to two times of asphalt shingle roofs. Cons: Cedar roofs are very expensive to purchase and install. They also must be treated to make them fire retardant. Cedar roofs require regular maintenance to prevent moss, mold, and mildew growth. 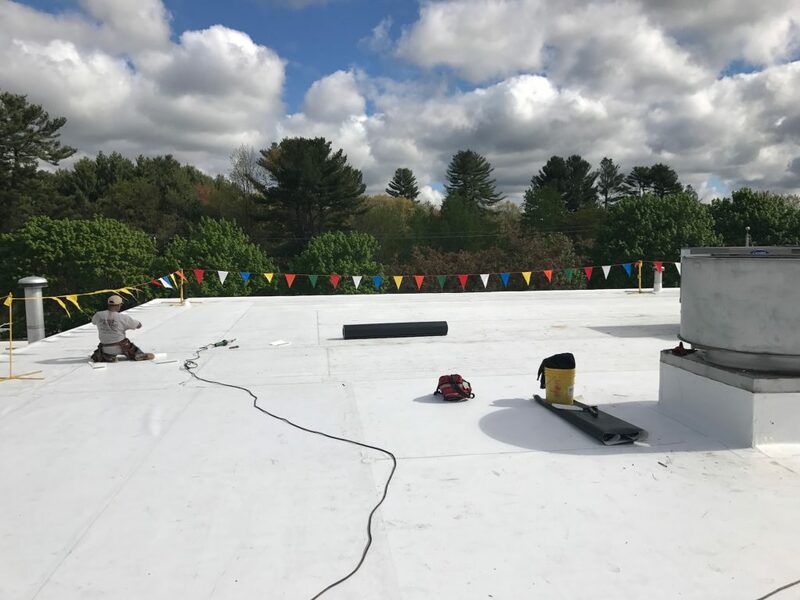 Rubber roofing (synthetic rubber), known to the roofing industry as EPDM (ethylene propylene diene monomer) is another type of roofing material. Rubber roofing has become more popular in recent years due to its durability, ease of maintenance, and cost-effectiveness. Rubber roofing is an investment, as it has a life expectancy of 30+ years if maintained properly. It is a top pick for commercial roofing systems and is becoming popular in the residential market as well. Your home must meet certain requirements to be able to use this material properly. 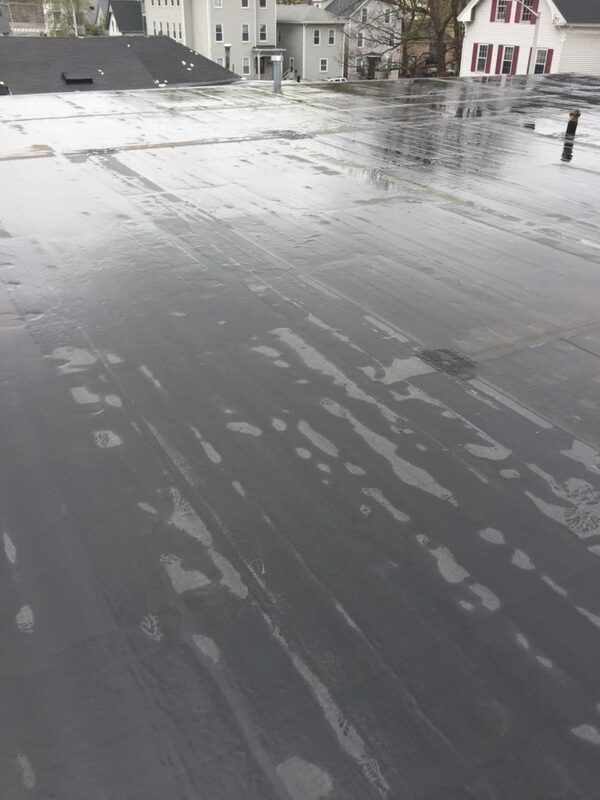 Rubber roofs require very little maintenance, and, because they are waterproof, they are less susceptible to leaks than other roofing materials. When leaks do occur, they are typically simple and inexpensive to fix. Rubber roofing is often less expensive than other options, which makes it a budget-friendly choice. These roofs do not take much energy to manufacture and can be recycled at the end of their lifespan, making them a green roofing choice. They also save energy: depending on the color, the roofing material reflects sunlight while insulating your roof. This means you’ll lose less energy, especially during colder months. This material can withstand high winds, snow, ice, and even hail up to 3” in diameter. Rubber roofing is long lasting and not susceptible to the suns UV and ultraviolet rays. Two primary drawbacks of this roofing type are its installation obstacles and lack of experience among professionals. Areas where there are chimneys and HVAC units may be the culprit for future leaks. However, if your roof is flat or low-pitch and does not contain any obstacle, then you have the ideal home for rubber roofing. Because this isn’t a traditional type of roofing, you may struggle to find a professional contractor with the right amount of experience to perform the job. There are many roofing materials out there that are designed to look like traditional roofing options, such as slate, wood, or asphalt. These synthetic materials are actually made out of materials such as rubber or plastic. Although it will vary depending on the type of synthetic, these roofs may last 50 years or more. Synthetic options look similar to traditional roofing materials, which is often the look that homeowners prefer. However, because they are made with stronger materials, they are typically less susceptible to damage and require less maintenance than traditional options. They are durable and can withstand heavy winds and severe weather. Not all synthetic materials are alike. The quality of one type of synthetic may not be the same as others. It’s important to work with a qualified roofing contractor to ensure you are getting a high-quality synthetic roof. They are also often more expensive than traditional options. Every roofing material comes with pros and cons, but ultimately the material you choose will depend on your needs. This will include things like the pitch of your roof, your budget, the weight of materials, and the structural integrity of your home. You should also keep in mind that it is relatively easy to install all of these roofing materials incorrectly, which means you should be careful to select a qualified roofing contractor! If you’re considering replacing your roof, contact On Top Roofing. Our roofing experts will be happy to work with you to select the roofing material that fits your style and your budget.